10/22, Marlin 795 and 60, etc. 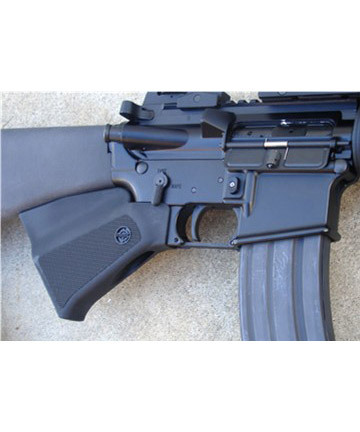 Includes installing stock, optics, boresight, sighting in at range, custom finishes, etc. Not run of the mill! ** Services listed are specialties of our Gunsmith. Need work that isn’t listed? Let us know what you’re looking for and we’ll see what we can do! Services and pricing are current as of January 20, 2013 and are subject to change. 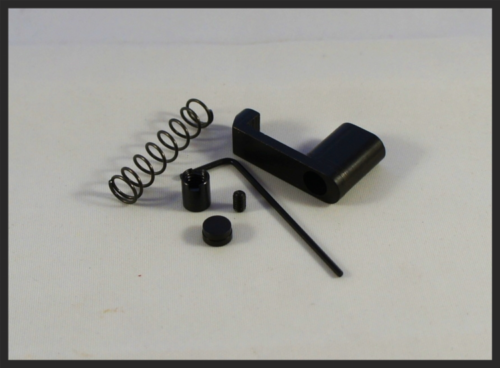 If you would like to contact Josh about gunsmithing related questions, please e-mail him at josh@taftguns.com or he is usually in the shop in the afternoons and on Sundays. He cannot answer questions about shop product availability, please use our regular Contact Us Page to ask your general questions or to contact Ten Percent Firearms. If we don’t have it in stock, we can order it! Call us at (661) 765-6899 or better yet e-mail us at guns@tenpercentfirearms.com and let us know the make and manufacturer number and we will get you a quote. You might be surprised how competitive our prices are, but you will never be surprised by our customer service. If you see a firearm on a auction website or for sale out of state, you cannot import that firearm into the state unless that firearm goes through a Federal Firearms Licensee (FFL). With few exceptions, all firearms transactions in the State of California must be processed through a FFL dealer. Ten Percent Firearms will accept firearms that you have already paid for from auction, estate sales, or private parties. This is especially helpful if you find a gun in the classified adds or on an online auction. Effective January 1, 2015, Ten Percent Firearms will charge $50 each gun in addition to the $25 DROS fees (one DROS covers the entire transaction) for this transfer service. This is due to the fact we must perform a safety demonstration on each firearm. If you are exempt from the Firearms Safety Certificate program, we will offer a discount by transferring your first firearm for $50 and each additional firearm for $10 each plus $25 for DROS (one DROS for the whole transaction). For a list of exemptions, please see the CA DOJ FAQ. If the firearm is from an out of state retailer (sent through an FFL), the BOE has instructed us to collect sales tax on the purchase price (a receipt is required). The BOE has further recently changed their position and they have instructed us to collect sales tax on all non-PPT transfers. Additionally, the sending FFL must be willing to comply with the DOJ CFLC program. If we receive a firearm without a CFLC number, the firearm cannot be accepted until a number is provided or the firearm will be returned to the sender. Private parties sending firearms into California are exempted from the CFLC program. Contact us with the address, phone number, and fax number of the seller and we will send them our FFL so they can send us your firearm. This pricing will not be honored with any other type of FFL dealer as that undercuts our pricing programs. Proof of auction, estate, or private sales receipt might be necessary for this service. Contact us if you have any questions. It is the buyer’s responsibility to ensure that all handguns are on the Roster of Handguns Certified for Sale and make absolutely sure that the firearm you are importing is listed by exact model number and that the caliber and barrel lengths match the descriptions on the certified list. If the handgun is not on the list, it cannot be DROSed. A Private Party Transfer (PPT) is any firearms transaction between two private parties and must be conducted with both parties coming to our store location. The fees for PPTs are $25 for DROS and a state mandated $10 fee for Ten Percent Firearms ($35 total). PPTs are not transactions between Ten Percent Firearms and any other FFL dealer whether in or out of state or a private party and Ten Percent Firearms.